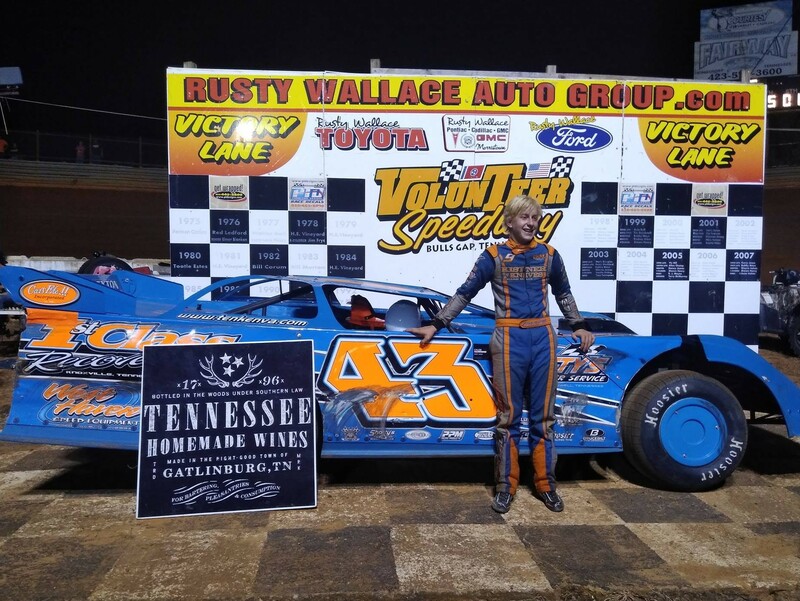 Jensen Ford of Jonesborough captured the Crate Late Model victory, while Zach Sise of Knoxville recorded the Sportsman Late Model win. 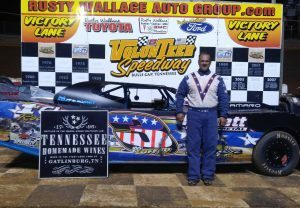 Shannon Emery of Morristown recorded the Modified Street win, while Jeff Hamby of Knoxville captured the Open Wheel Modified victory. 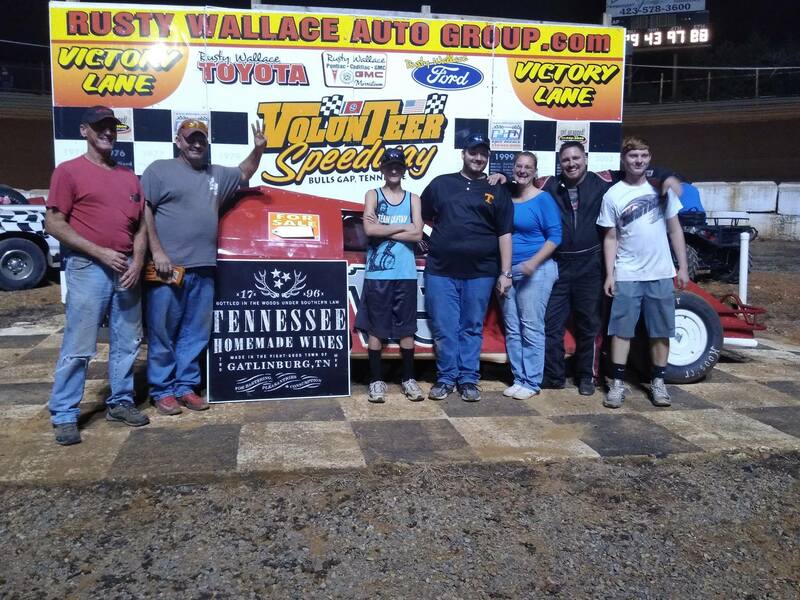 Lee Merritt of Knoxville captured the Classic victory, with Rex Coffey of Morristown taking the 602 Street Stock win. Trevor Sise was fastest in Crate Late Model qualifying at 13.427 seconds, with Tim Byrd close behind at 13:434. But due to having won two consecutive races Byrd was relegated to starting third. Sise was joined on the front row for the 25-lap feature by Jensen Ford. On the start Sise and Ford raced side-by-side into the first turn and racing off the corner down the backstretch Sise moved ahead. But his lead proved to be short-lived as Ford made the pass to move out front on the second lap. The trio of Ford, Sise and Byrd were setting a blistering pace around the high banks. Behind them the racing was intense with Austin Neely, Tim Maupin, Josh Henry, Greg Martin, Adam Tolliver and Gary Crittenden battling for position. Caution waved on lap 16 when leader Ford and the lapped car of Tristan Clawson got together and Clawson spun. Back under green Ford was being chased by Sise and Byrd. But while Sise and Byrd stayed within striking distance should the leader Ford make a mistake, that situation never materialized and Ford went on to capture his third win of the season. It was also the 60th career Crate Late Model win for 30-year-old Ford. Finishing behind Ford were Sise, Byrd, Neely and Henry. 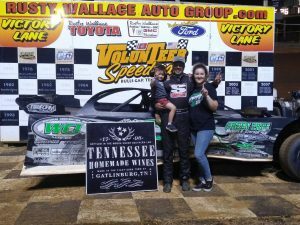 … Divisional points leader Sise and Ford each have three wins in 2018, while Byrd has two victories. Sportsman Late Model point leader Zach Sise was fastest in qualifying at 13.382 seconds, but due to having won two straight races he had to start from the third spot. Brad Seagle and Jed Emert started from the front row and raced side-by-side the opening two circuits before Seagle grabbed the lead. Sise passed Emert for second on lap 5 and set his sights ahead on leader Seagle. Seagle got trapped behind the slower car of Justin Talley on lap 10 between turns one and two, and Sise seized the opportunity to make pass for the lead. … Once out front the 18-year-old Sise drove away to his fifth victory over Emert, Seagle, Vic Chandler and Floyd Self. 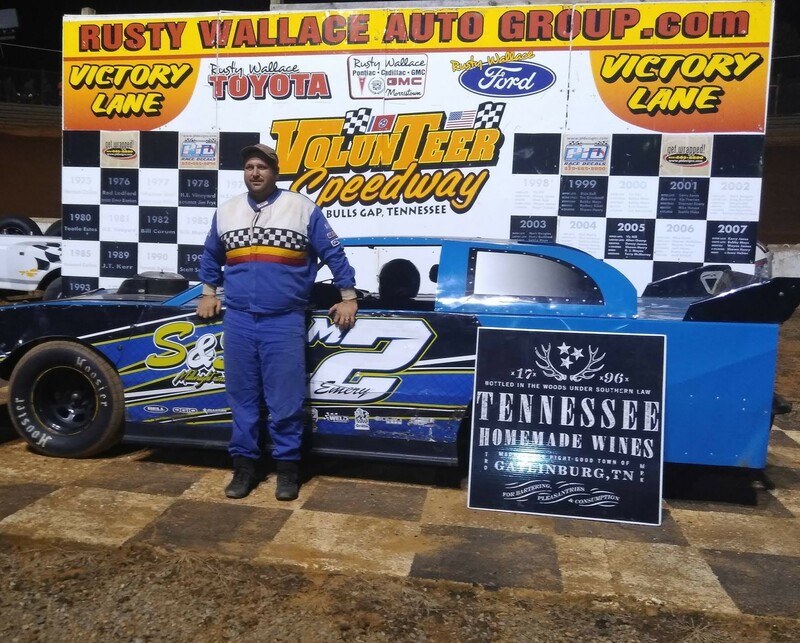 Shannon Emery led the lap that counted, and that was the money (last) lap of the Modified Street feature as he captured his second victory of the season. Kurt Owens grabbed the lead at start over Gary Blanken and Robbie Petty. Owens slowed with a flat tire on lap 8, and both Blanken and Petty did likewise on lap 11. Chris Rickett also slowed from the leader position with a flat right-rear (tire) on lap 12. … Emery inherited the lead and over the remaining distance there would be no denying the veteran driver as he held off Wayne Rader, Eric Hux, Buchanan and Owens to take the checkered flag. Jeff Hamby and Billy Palmer battled for the lead at start of the Open Wheel Modified feature before Hamby powered into the lead on the third lap. 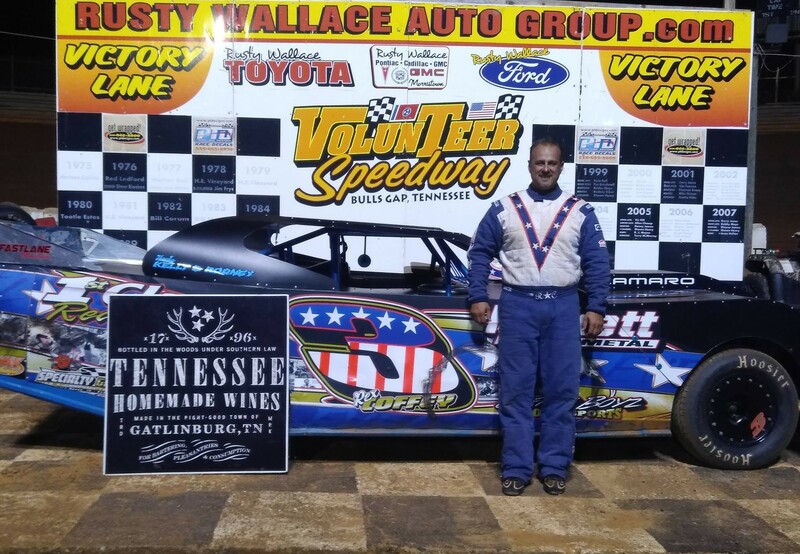 Once out front Hamby set sail and rolled to his first win of the season over Palmer, Terry James, Wade Rookard and Wayne James. 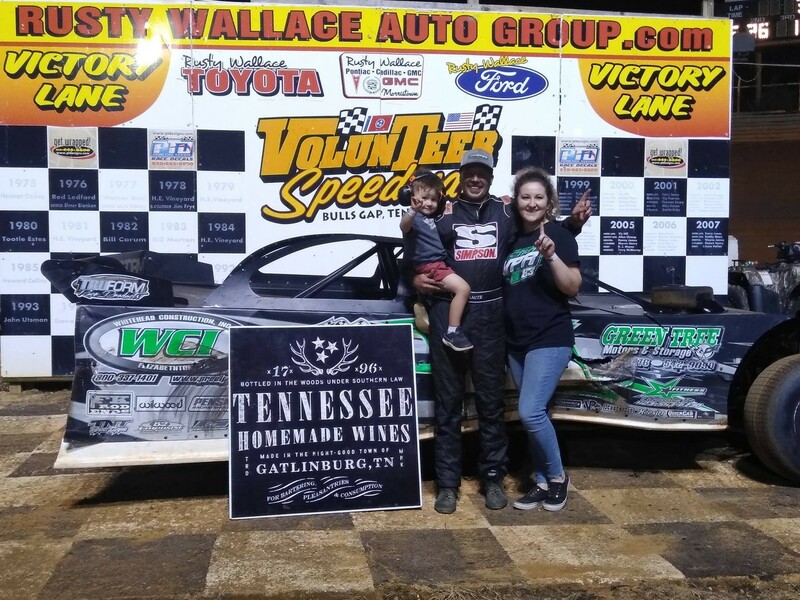 Lee Merritt recorded his division-leading eighth Classic feature win, though he was pressured throughout the 20-lap event by the hard-charging Brad Dyer. Dyer dropped either to the inside of Merritt in the corners or tried the high-line in trying to pass Merritt for the lead, only to have the door slammed on each occasion. 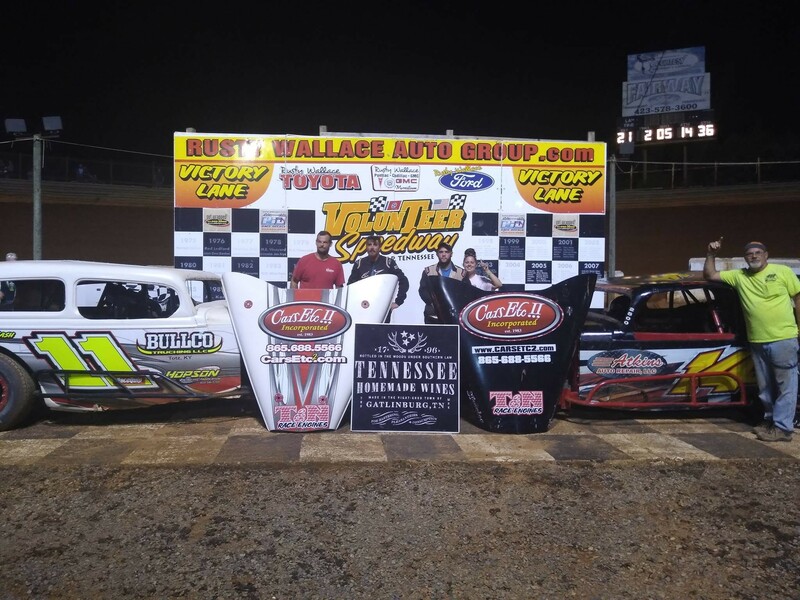 Following Merritt to the checkered flag were Dyer, Chris Worsham, Shaun Sise and Will Carey. 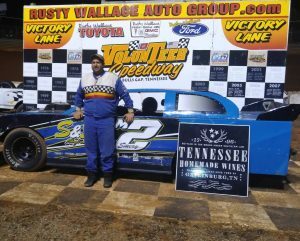 Rex Coffey outran Josh Driskill, Austin Atkins, Shawn Henry and Brandon Johnson to capture his third 602 Street Stock win on the season. 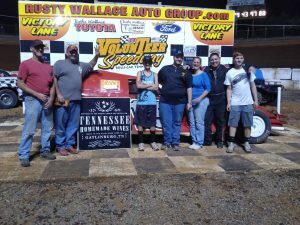 The next event scheduled at Volunteer Speedway is the Fall Classic on Saturday, Oct. 6.